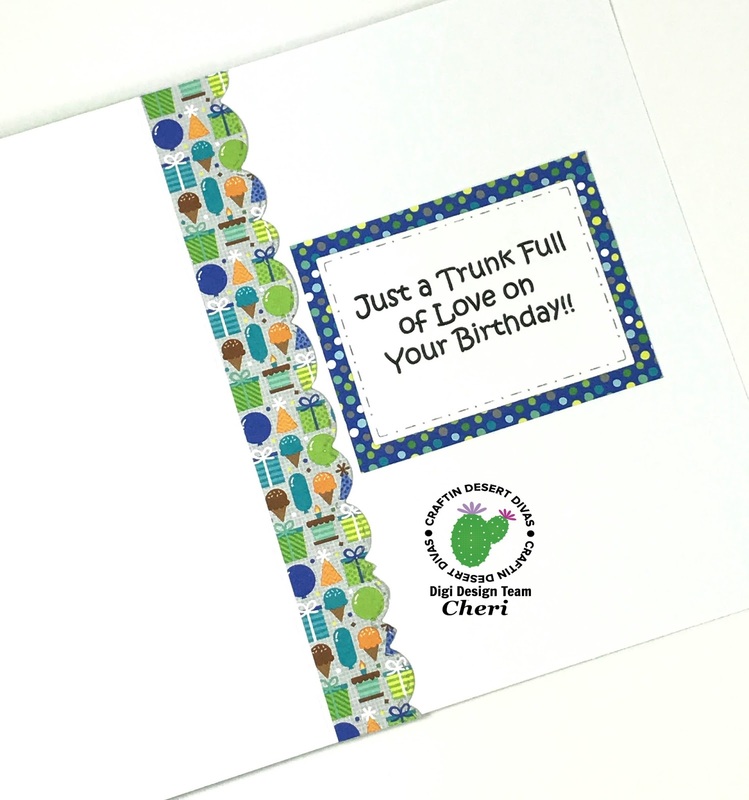 CheriB Designs: Trunk Full Of Love! 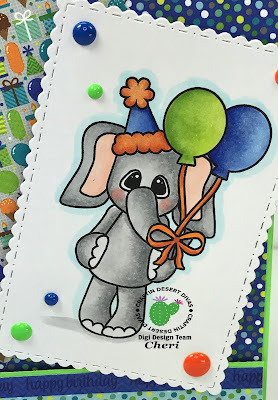 It's time to post again on the Craftin Desert Diva's Gallery over on Facebook with my card inspired by the August Monthly Mood Board! When I look at the Mood Board it reminds me of a Birthday so I decided to create my card with the "Birthday Elephant" Digital stamp. I decided to use papers from the Doodlebug Dragon Tails 6x6 paper pad. It has balloons and ice-cream cones that fit with the mood board. I printed out my image and cut it out with a die from the CDD Fancy Frames set. 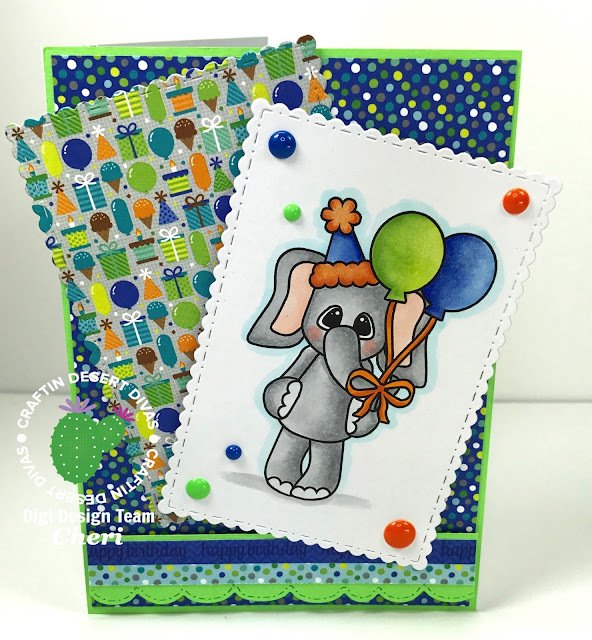 The scalloped border die is from the CDD Landscape 2 die set. 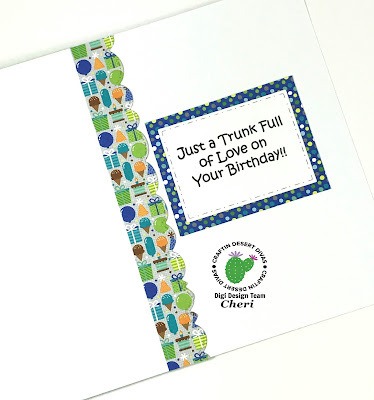 This super cute sentiment came with the digital stamp. Thanks for stopping by! I hope to see something in the Gallery that you used that was inspired by the August Monthly Mood Board!